This category is for AMS member signup. Please add a separate registration for each member of your family who is attending. Each family may bring 1 additional guest. This category is for non-members to sign up. Please add a separate registration for each person attending. Registration is closed until Wed 13 Feb 2019 if you are not a member of the AMS. Members may now register. Please add a separate registration record for each member of your family who will be attending. Each primary member may also bring 1 guest who pays the non-member rate. UPDATE: This class has now filled, but there will be more in future. You can add yourself to the waiting list if you wish. The Arizona Mushroom Society, Inc., is presenting an instructional class to teach our members the new, non-sterile "Tam Technique" for growing oyster mushrooms at home. 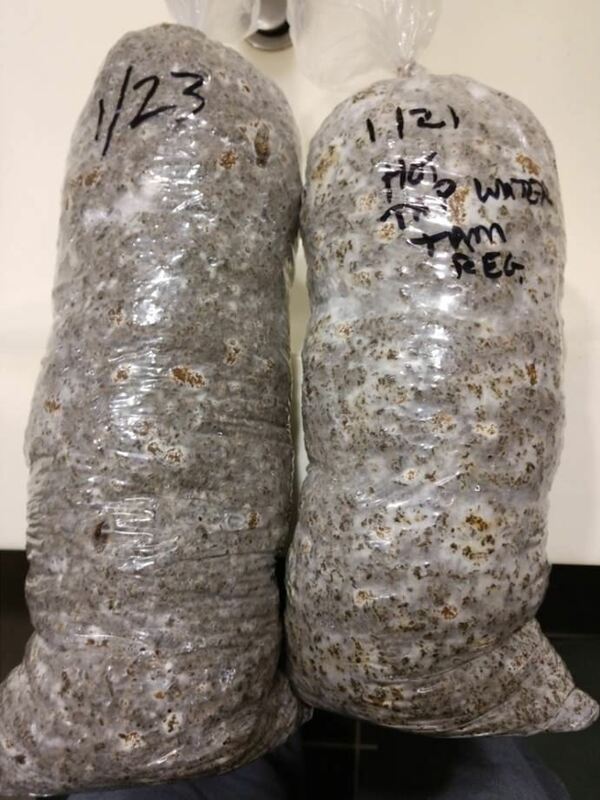 This method was invented by Milton Tam of the Puget Sound Mycological Society, and recently learned by former AMS Vice President Bill Warner, whose son Ben grew these big, beautiful mushrooms using Tam's technique. Bill has generously offered to pass along this knowledge to the rest of us. Participants in this course will make their own oyster mushroom grow bags under his supervision, and take them home to watch them grow and fruit. Unlike the usual methods of growing oyster mushrooms, Tam's super-easy technique does not require heat sterilization. Washtubs, plastic bags, kitty litter, rabbit food, and oyster mushroom spawn are all that will be needed. 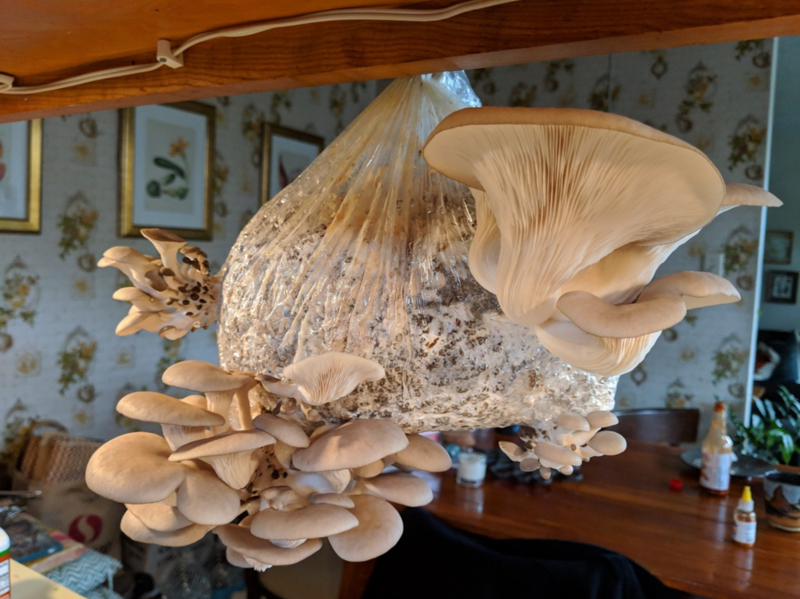 For only $5 to cover the cost of supplies and materials ($10 for non-members), you'll get multiple meals' worth of delicious oyster mushrooms in about 3 weeks. In addition, AMS member Kevin Fitzgerald, whose love of mycology turned into a lifestyle business of “urban farming,” will lead an informal discussion of oyster mushroom biology and propagation by traditional sterile technique. His family business, Sun Valley Harvest, grows several different specialty mushrooms here in the desert, and is graciously providing the spawn for this demo. Kevin will also bring fruiting bags of several of the mushroom varieties that Sun Valley Harvest grows so that participants can see the fruiting mushrooms first-hand. Members of the AMS in good standing will have the first opportunity to enroll, beginning on Feb. 9, 2019. Each primary member attending the class may bring 1 guest, who will be required to pay the non-member price for supplies. Non-members who are not the guest of a member will need to wait until Feb 13, 2019 to enroll for the remaining seats, if any. 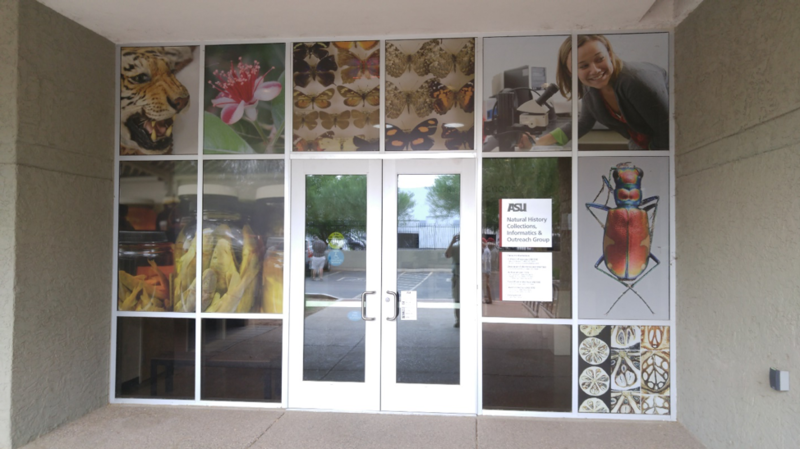 The AMS is a 501(c)(3) tax-exempt, tax-deductible Arizona non-profit corporation.